Jose Antonio Vargas, a Pulitzer Prize winning journalist, is coming to Tulane on Monday, October 13th at 8:00 PM in Dixon Hall. 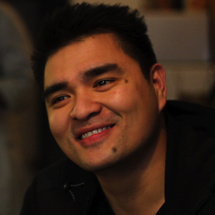 A journalist for over a decade writing for some of the most prestigious news organizations in the country, Jose Antonio Vargas’ personal journey contends with some of the most fascinating stories he’s covered. In the summer of 2011, 18 years after arriving in America he decided he was done running. Vargas exposed his story in his groundbreaking essay, “My Life as an Undocumented Immigrant,” for the New York Times Magazine, stunning the media and political circles and attracting worldwide coverage. Today Vargas runs Define American, a non-profit organization that seeks to elevate the conversation around immigration. He is a very proud alumnus of Mountain View High School and San Francisco State University, loves jazz, can’t get enough of Ben & Jerry’s and worships at the altars of Altman, Almodovar, Didion, Baldwin and Orwell.